According to the notice, the ongoing pre-launch bookings of 5 marla (125 SQY), 8 marla (200 SQY), 10 marla (250 SQY), and 1 kanal (500 SQY non-golf facing) residential plots will be closed on 27th April 2018. BSM Developers will announce the revised plot prices and launching date very soon, so you have limited time left to book your plots at pre-launch prices. There may be about 10 to 20 percent increase in revised prices, so it may be a good opportunity to earn quick gain. 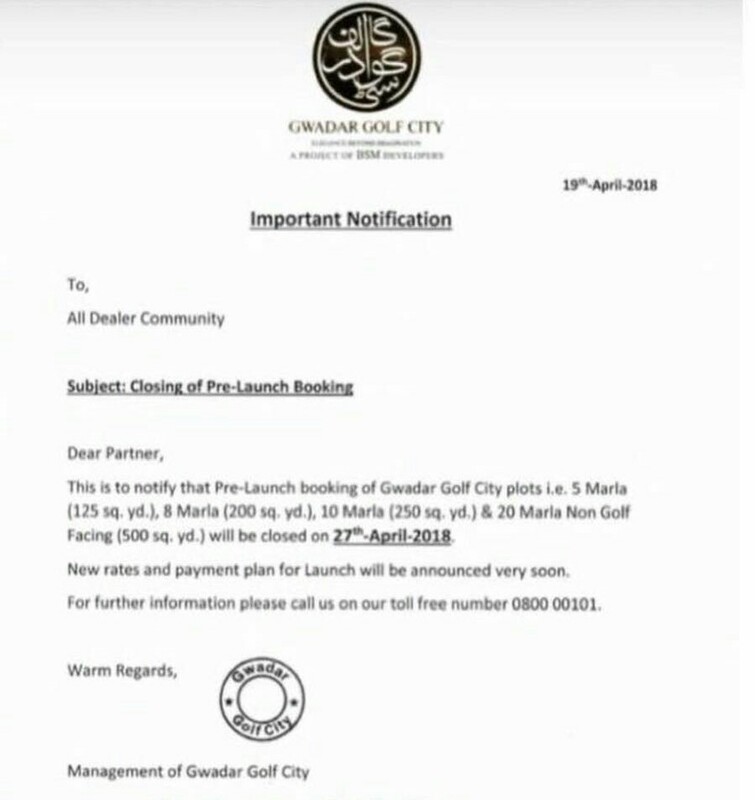 The closing of pre-launch booking may also imply that BSM is going to officially launch Gwadar Golf City within a few days. We will update the revised plot prices and further updates as soon as official information is disclosed, so stay tuned !